One of the great successes of the Atlanta Food & Wine Festival is the way it brings chefs together who aren’t conventionally ‘Southern.’ Chefs from all over the region, from completely different cultures are having a love affair with the South, and the result is a gathering of such exciting ideas, and diversity of style, all of it a tribute to Southern cooking. Take Edward Lee whose serves on the Festival’s Advisory Board. Edward’s a Korean American from New York, and is one of those chefs who fell for the South and fell hard. He has two successful restaurants in Louisville, and is revealing the beauty of local ingredients and dishes in a whole new light, informed by his Asian heritage and the refinement and creativity of his New York training. He’s cooking with Kentucky Bourbon and bluegrass soy sauce, and taking those ingredients somewhere they’ve never been. Anthony Lamas, also on the Advisory Board, is going great guns with ‘Nuevo Latino’ cuisine at his acclaimed restaurant, Seviche, also in Louisville. Anthony is from California, and draws heavily on his Mexican and Puerto Rican heritage, but embraces local Kentucky products along with all sorts of habaneros and chilis that are definitely new in town. He’s also introducing amazing fresh fish, clams and mussels to land-locked Louisville, in his role as a champion of sustainable seafood. He acquired that inspiration from his former boss, chef and friend, chef Jeff Tunks of Passion Food Hospitality. These are ‘new’ chefs, who are strengthening and enlivening the rich culture by taking it in progressive directions. In 2013, chef David Guas had the pleasure of doing a presentation with Adolfo Garcia, who, like David, has Latin roots and was born and raised in New Orleans. Adolfo people are from Panama, David’s father is from Cuba, and they demonstrated the parallels between Caribbean and New Orleans cuisine, based on their own families’ experience. The Festival allowed them to develop a program, and material, and let them do their thing. It showcased the South from the perspective of its cultural influences that are overlooked when speaking about traditions. It might not have been what anyone was expecting to encounter at the Atlanta Food & Wine Festival, but they proudly presented their heritage and the full house, with peers such as Norman Van Aiken, validated the importance of Latin food customs having a strong impact on the cuisine of our day. Technically, if you really think about it, Cuba is much further South than New Orleans, so go figure. There are many unique seminars at the Atlanta Food & Wine Festival, and my advice for 2015 and beyond is to take advantage of the presentations not so familiar to you and learn something that you did not know about this great Southern culture. Honor and celebrate it by letting innovative chefs and artisans appropriate and grow it. 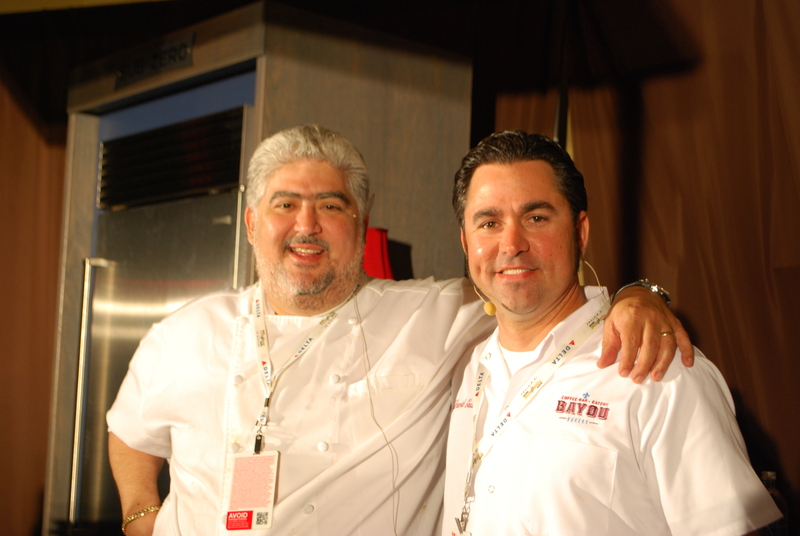 This entry was posted on June 23, 2014 by Simone in David Guas, Uncategorized and tagged Atlanta Food & Wine Festival, Atlanta Restaurants, Chef Adolfo Garcia, David Guas.